It all boils down to whether you would prefer more space in your wardrobe or more money in your pocket? How much more organised would your life be if you had the dream walk-in robe? It would be glamorous yet practical, with a back-lit mirror, a steamer to iron out creases before you left the house and a voice-activated internet device to check the weather and play music while you dress. And, there’s all the storage you need – times two so your other half can enjoy it, too. The master bedroom reveals on The Block prove that no prestige property is complete without a walk-in robe off the master bedroom. But, if it means so much to have well-planned storage, why does it so often get left off the reno to-do list? 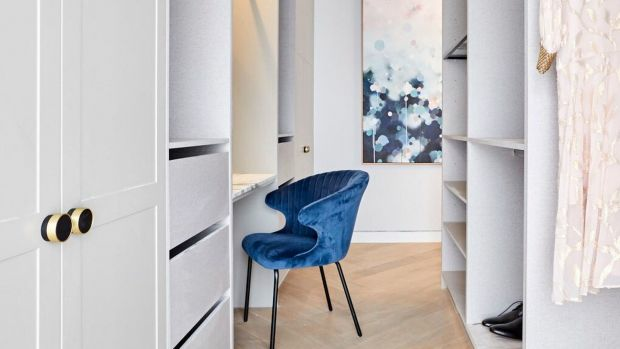 Storage is often overlooked by Block contestants because it’s just not exciting, says interior stylist Emma Blomfield, author of acclaimed decorating book Home. 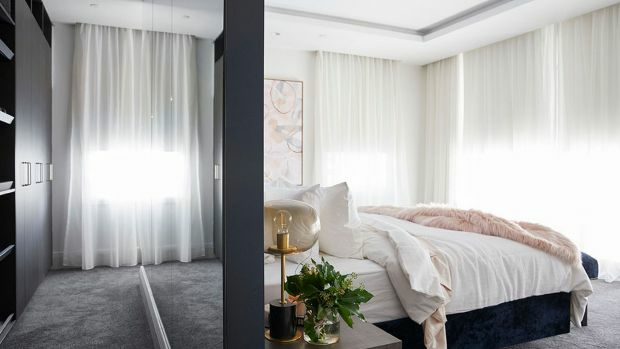 But with judge Shaynna Blaze partial to opening a cabinet door, there’s no escaping the need to include adequate storage in every room, especially in the bedroom where it adds a sense of luxury. 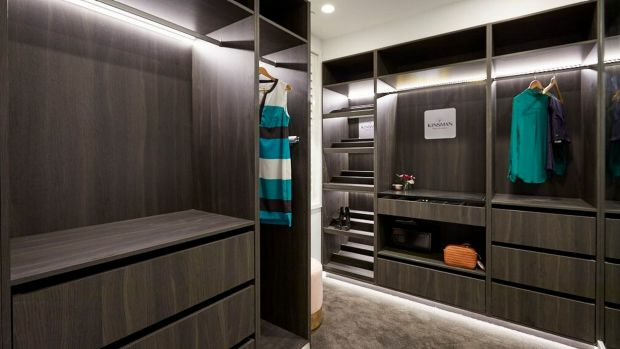 “It makes a big impact on potential buyers when they walk into a space dedicated to having their clothing, shoes and accessories in a covetable display of ultimate organisation,” says Matt Rushmore, senior designer at Kinsman Wardrobes, who did the fit-outs in The Gatwick. “There’s also more wow factor with a walk-in as it often includes a full-length mirror and mood lighting,” Rushmore says. A buyer will usually end up residing in the master bedroom, so designing lots of personal space can help increase their perception of the property’s value. For instant luxury, choose dark cabinetry. “It can look sophisticated, especially with integrated lighting. Walk-in robes are usually in larger master bedrooms, where they can afford to have rich, dark tones without making the space feel cramped,” he says. Duke advises: “If using freestanding furniture, go tall to utilise the height of the room, and design to get things off the floor.” Instead of having a chair or valet, she recommends installing a wall-mounted shelf rack with hanging hooks. While storage is key, being able to see into it is essential. Denise Hammond, product knowledge specialist at Beacon Lighting, advises adding a touch of glamour with a mix of under-shelf strip lighting [which The Block judges tend to love], LED ribbon lighting, directional tracks and adjustable downlights. “But most important is flexibility, so consider separate switches, dimmers and LED smart globes for total control over your domain,” she says. Hammond suggests liaising with the cabinet maker in advance about having under-shelf and bench lighting recessed into cabinetry during construction.